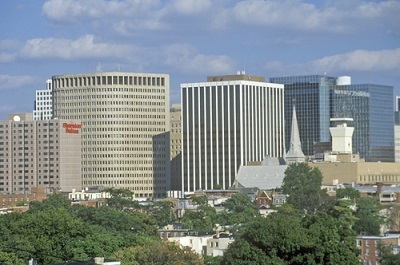 Monarch Air Group provides private air charter in Wilmington, DE. Our clients benefit from top-notch service, unrelenting dedication to safety, wide selection of aircraft, and years of experience in chartering private jets. To obtain a free quote, please use our online quoting tool provided below, or call toll free 1-877-281-3051. Monarch Air Group provides private jet charter flights to and from Wilmington, DE, USA. Wilmington is the biggest city in the state of Delaware, United States situated at the confluence of the Brandywine Creek and the Christina River. It is a national financial hub and is home to many headquarters including international and national banks Chase Card Services, Bank of America, Barclays Bank of Delaware, AstraZeneca, and DuPont Company. Wilmington boasts wonderful museums, incredible mansions, a wide range of art and antique collections, charming wineries, amazing attractions, luxurious restaurants and outstanding hotels. The most popular historic attractions include the Delaware History Museum, the Delaware Museum of Natural History, the Holy Trinity (Old Swedes) Church, the Hendrickson House Museum, the Delaware Art Museum and much more. Visitors to Wilmington will experience golf courses, thoroughbred racing, tennis, canoeing and kayaking on the beautiful Brandywine Creek. Wilmington is a entry to the beautiful Brandywine Valley and a perfect destination for both business and leisure travelers. 1. CRE, Grand Strand Airport, Myrtle Beach, United States. 2. CTZ, Sampson County, Clinton, United States. 3. ILM, Wilmington International, Wilmington, United States. 4. LBT, Lumberton, Lumberton, United States. 5. MYR, Myrtle Beach Afb, Myrtle Beach, United States. 6. OAJ, Albert J Ellis, Jacksonville, United States.